Oasis guitarist Noel Gallagher certainly got the raw end of the deal when he was attacked onstage last Sunday while performing at the V Festival in Toronto. And now the guitarist has written about the event on his blog. "I'll have to stop this prophesising. I knew something was going to happen last night. I said I had a bad feeling, didn't I!?" 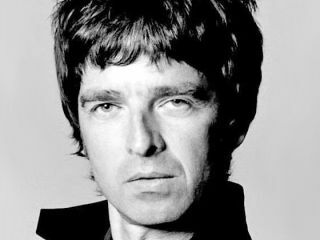 he wrote on Takes From The Middle Of Nowhere on the Oasis website. Of the incident itself, Gallagher explained, "Someone, who can only be described as a 'Canadian,' was able to get onstage, somehow managed to evade our crack security team and assaulted my mid-riff." Regarding the show and the attacker, 47-year-old Daniel Sullivan from Pickering, Ontario, Gallagher wrote, "Can't say much more than that as the 'perpetrator''s gonna get the book thrown at him. Repeatedly. It was all going so well up until that point n'all." Describing the injuries that resulted in Oasis postponing a show in London, Ontario, Gallagher said, "Feel like I've had a sparring session with [Manchester boxer] Ricky Hatton. Still, we'll probably get an extra couple of days in NYC. Every cloud, eh?" Oasis is due to play Terminal 5 in New York City tomorrow, September 12.